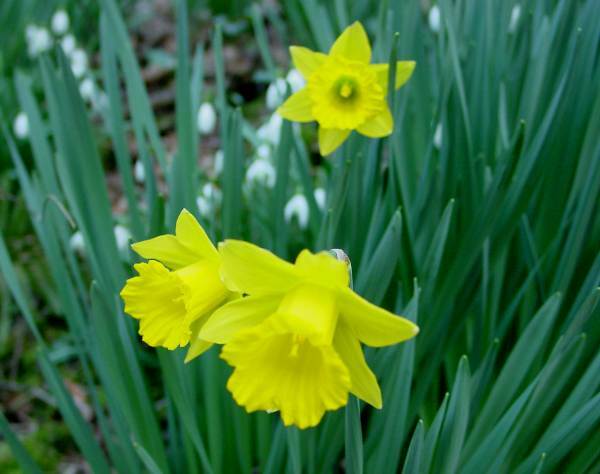 In spring the banks of some Welsh rivers and canals are lined with wild daffodils, the St David's Day emblem of Wales. 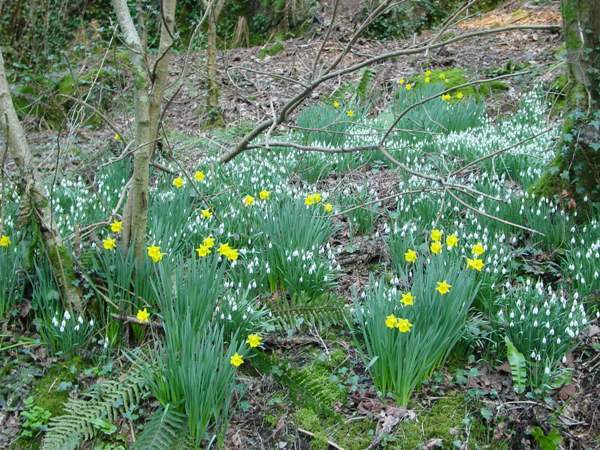 They are usually at their best in March and April, but in sheltered places they may still be seen blooming in late May. These wild daffodils were photographed beside a wooded river in late May. 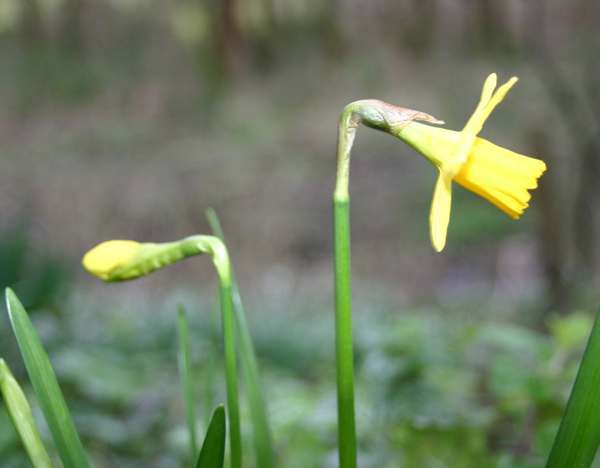 Many garden species of daffodils have escaped into the wild, and you are likely to see a wide range of Narcissus species, especially on riverbanks and in hedgerows near to villages. The plants shown on this page were photographed in West Wales in springtime.